Jack Hanna, Director Emeritus, Columbus Zoo, hosted 3 television shows on wildlife and zoology, including Jack Hanna's Wild Countdown. 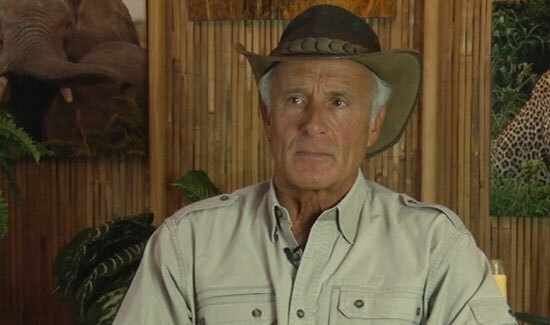 Jack Hanna served as director of the Columbus Zoo and Aquarium from 1978 to 1992 and is viewed as largely responsible for elevating the zoo’s quality and reputation. He currently serves as director emeritus. In 1983, Jack was invited to appear on Good Morning America following the birth of baby twin gorillas at the Columbus Zoo. He accepted and became a regular guest and wildlife correspondent. Jack has made countless television appearances since then on shows such as The Late Show with David Letterman, Larry King Live, The Talk, The Maury Show, Fox News Programs, and CNN News Programs. Over the years, Jack has hosted three television shows. Jack Hanna’s Animal Adventures ran for 10 years and is still currently in syndication. Most recently, the Columbus Zoo and Nationwide Insurance have partnered to sponsor the Emmy Award winning Jack Hanna’s Into the Wild and a new show on ABC, Jack Hanna’s Wild Countdown.